A prestigious and emblematic neighborhood marked by world famous iconic names and places such as the Avenue des Champs Elysées, home of nightclubs, luxury designers and elite nightlife situated right in between the majestic Place de l'Etoile encircling the imposing Arc the Triomphe on one end and on the other the grandiose Place de le Concorde facing the Tuileries and parallel to the luscious rue de Faubourg Saint Honoré home of the biggest fashion designers. 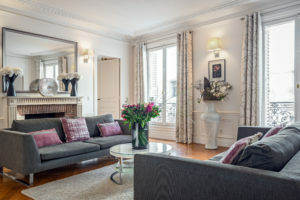 This is one of the most vibrant and desired districts located in the heart of Paris. Famous for it's old narrow streets filled with small shops and designer boutiques, from high end luxury brands to independent designers and concept stores as well as the prestigious department store, Le Bon Marché. This classical Parisian neighborhood is artsy and trendy and is home to many artists. 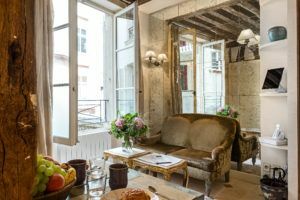 Hemingway, Picasso, Sartre and more were accustomed to what have now become iconic landmarks such as the Café Flore and Café des Deux Magots near the oldest church of Paris, Eglise Saint Germain des Prés. It is the perfect neighborhood to stroll and stop for coffee in the legendary cafés. Get lost and discover small passageways and relax in the Jardin de Luxembourg. 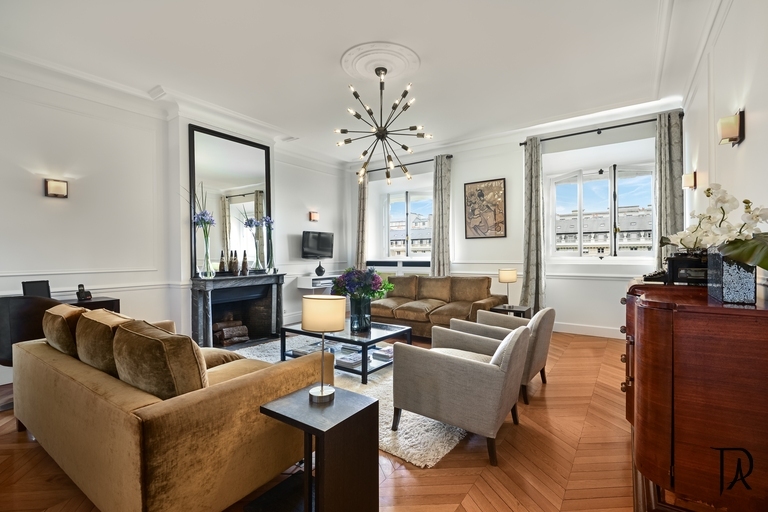 Located on the Left Bank this quintessential Parisian neighborhood combines charm and chic. 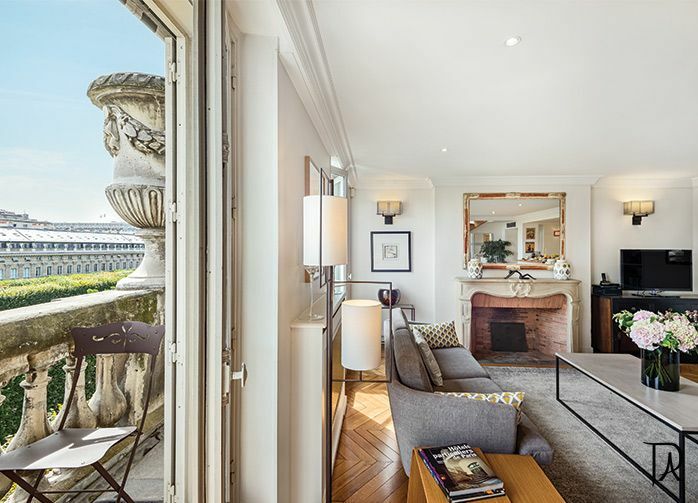 Near the Hôtel des Invalides, with it's recognizable shiny golden dome and the impressive perspective from it's Esplanade that stretches out to the sights of Paris. 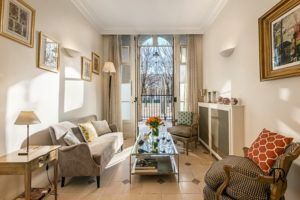 Right around the corner from the one and only Eiffel Tower and the relaxing Champs de Mars gardens with it's antique merry-go-round. 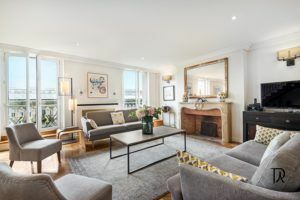 You can go to the Bon Marché, Paris' oldest and most stylish department store and walk the grand Pont Alexandre III and can easily stroll on the quais of the Seine River to admire the beautiful sunrise or sunset while sipping a drink. 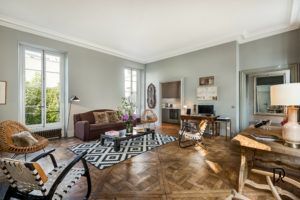 It's an ideally central location and is one of Paris' most prized neighborhoods. A cute village in the heart of Paris. 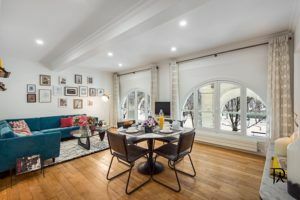 Le Marais with it's small crooked medieval lanes is home to trendy shops, from hip designers to old fashioned cafés, restaurants and boutiques, art galleries and lively bars all in the same spot. 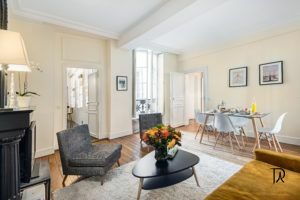 A great neighborhood to wander through with the charming Place des Vosges, Saint Paul Church and up to the superbly preserved Ile Saint Louis, a small and calm island near Notre Dame Cathedral, connected by two bridges to the right bank and left bank of the Seine River. 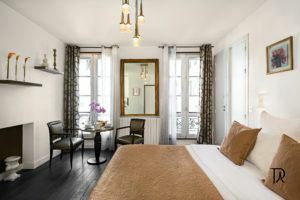 Ideal to discover the city of lights by foot with the feel of an old French village in the middle of a bustling Paris. 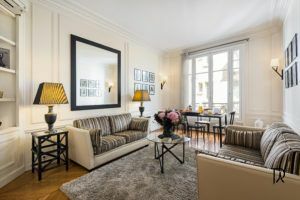 Palais Royal is located just opposite the legendary Louvre Museum incarnates the classic and timeless Paris of postcards with it's beautiful gardens and architecture, it is an oasis of calm and refinement in the heart of Paris. 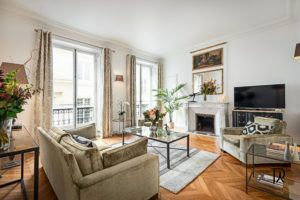 A neighborhood rich with cafés, shops and restaurants and walking distance to every major Parisian landmark. 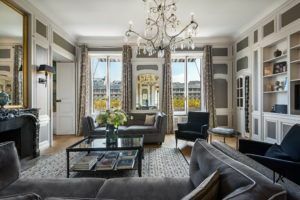 This spot, nestled in a quiet place surrounded by the Louvre Museum, the Tuileries, the Opera Garnier, and one of the city's major artery, rue de Rivoli and a bridge away from Saint Germain des Prés makes it an exceptional place to discover Paris. 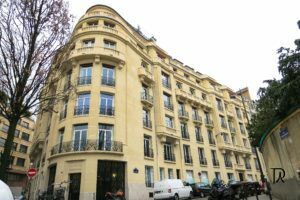 This central neighborhood on the Left Bank is a renowned historical student district notably because of the nearby prestigious Sorbonne University. 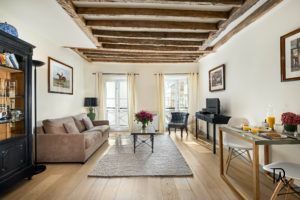 It is called the Latin Quarter because it is located on what was once the Roman village of Lutetia. 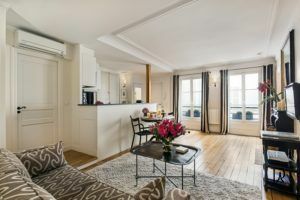 This lively district is right between the Jardin des Plantes and the Jardin du Luxembourg and is famous for it's narrow streets and lively nightlife with it's large array of bars and restaurants near Rue Mouffetard and Rue Soufflot. 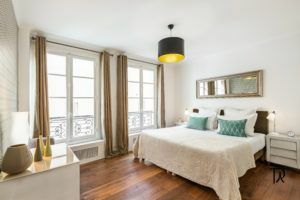 You can wander through the winding streets behind the Pantheon, shop from the most vibrant market streets, stop at a café on charming classic old squares such as Place de la Contrescarpe. 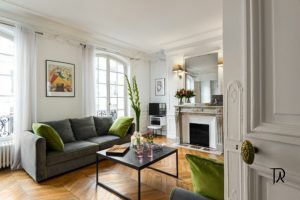 You will be charmed by the very artsy and literary feel and heritage, very similar to Saint Germain de Prés, with a slightly more bohemian feel in the footsteps of the famous writers, such as Ernest Hemingway and Scott Fitzgerald, that once walked these cobble stone streets. Our dedicated team offers personalized meet and greet with insider tips and advice and our homemade extensive guidebook. 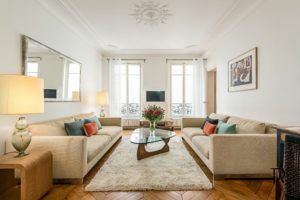 We’ll gladly get you settled in and explain everything as well as help organize and book your arrival and departure transfers, organize extra maid service or make restaurant reservations for you or help you with any request you might have. 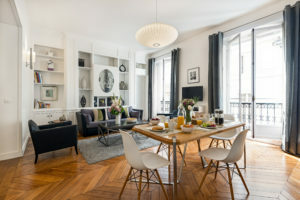 Each of our beautiful apartments are located in the very heart of Paris close to all the major points of interest. 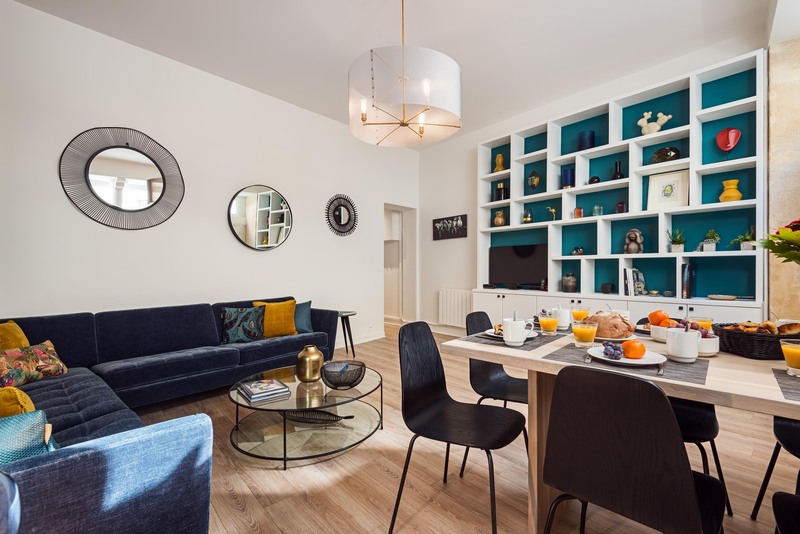 Our apartments are all walking distance or a quick metro commute away from cultural or general sight-sightseeing, shopping, cafés and restaurants. 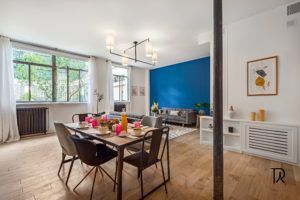 By living in one of them you will feel like a real Parisian. 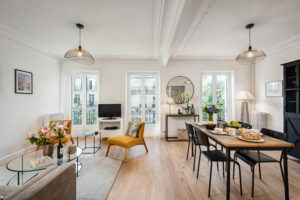 All our apartments have a typical Parisian feel and decoration AND are legal and solely intended for short term holiday rental. 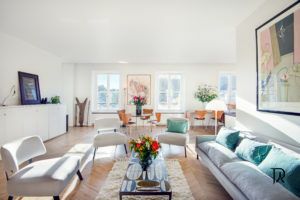 They are all optimized to welcome you in chic and comfortable environment to make you feel at home and are equipped with a large panel of quality amenities. Because we love our guests we want your stay to be special therefore we welcome you with fresh cut flowers, a bottle of quality French wine, a bottle of mineral water and a treat. 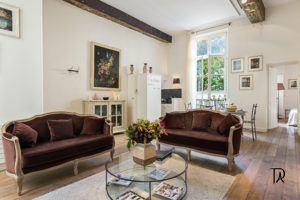 We also supply a Nespresso pod per guest and a set of Occitane toiletries comprised of a bottle of shampoo, conditionner, body wash and body lotion.